Bruce Daisley, managing director of Twitter UK and VP direct sales in Europe, reviews Countdown to Zero Day: Stuxnet and the Launch of the World's First Digital Weapon. The ability to reframe things has always been elusive but alluring to me. Like watching someone who can glimpse a jumbled Rubik’s cube and envision it restored to harmony. I once worked with a ‘reframing’ prodigy – a man who existed in a state of itchily insatiable energy and was able to adapt his vantage point in any scenario to spot lucrative opportunity. Constant reframing is like switching to a different camera angle. On hearing that the Royal National Institute of Blind People was planning an ad campaign, it was a clear mandate to summon our head of radio sales: "Robert… What is radio if not the friend of the blind?" New perspectives led him to audacious triumphs. The most eye-opening piece of reframing I’ve seen in the past year was by Alex Jenkins from Contagious magazine. When asked what was the greatest digital campaign of all time, he concluded it was Stuxnet. If, like me, you need a refresher, this compelling and timely book by Kim Zetter is the perfect catch-up guide. In brief, the Stuxnet virus was a cyber attack hatched somewhere between Washington and Tel Aviv with the single-minded purpose of throwing a digital spanner into the development of Iran’s nuclear programme. The method of doing this was sophisticated use of ‘zero day’ weaknesses in computer operating systems. These are vulnerabilities that expose entry points into computers that haven’t yet been discovered by anti-virus software. In the instance of Stuxnet, the rogue exploits learned how the enrichment systems were being operated by the Iranians, then – brilliantly emulating Oceans 11, to aid my understanding – played back old data readings to the chemists, while sabotage sent the inner workings haywire. The reality is that the direct route often doesn't reach the destination we intend. As you read on, the implications for a digitally enmeshed world become jaw-droppingly apparent. 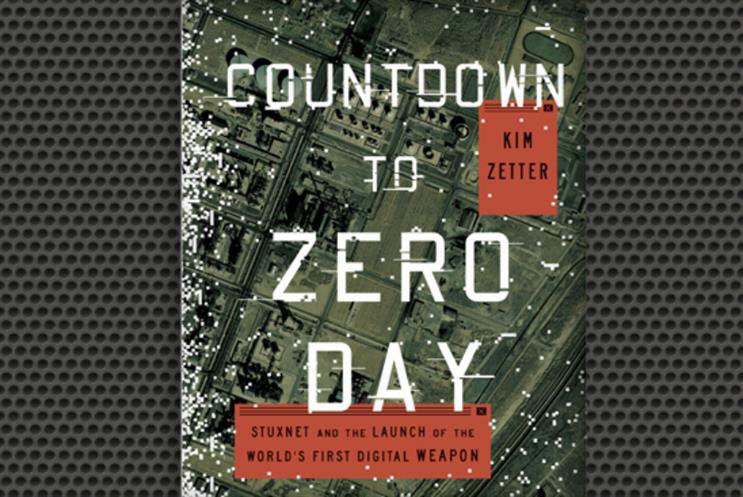 Zetter’s book goes from the specifics of Stuxnet to look at the growing instances of cyber warfare. In the light of recent hacking (from Sony’s The Interview to Madonna’s latest album, covert sabotage is starting to become a legitimate fear in 2015), this analysis feels particularly timely. Was this a ‘digital campaign’, as suggested? It certainly used the new digital armoury at our disposal to chalk up a win in a non-marketing way. But isn’t that the reality of the world in 2015? The direct route often doesn’t reach the destination we intend. You may remember reading about a US theme park that asked its agency to give away 500,000 free tickets. The agency asked: ‘Are there any other objectives?’ When told that getting rid of tickets was the sole aim, it did so in an hour. The route to market? A post on Craigslist. I’ve a feeling it won’t be the last time that new technology rewards the brave orienteer. Zetter’s book is a challenging eye-opener for what uncertainty and opportunity lies ahead. 1 The growing threats of hacking and cyber warfare are likely to be a feature of modern life in the next 10 years. 2 Zetter’s book reminds us that using the web doesn’t need to be confined to ideas of pasting ads into blank space. 3 The more we understand the way the internet works, the bigger the competitive advantage over those who use reference points from the past to aid their comprehension. 4 The direct route often doesn’t reach the destination we intend. 5 In the context of recent hackings, this is a very timely read. 6 It might be time to update your password from "123456".